This program calculates and displays all possible solutions of the "eight queens problem". This problem asks how many different ways eight queens can be placed on a chess board so that no queen can take any other. This is a mothballed project and is no longer being development. Anyone can take it over if they wish. Please see the project's home page for details. Component Help Installer installs Delphi-compatible help files into Delphi's OpenHelp system in such a way that the help files are integrated with Delphi. Context sensitive help for components, classes and routines installed by CHI is accessible from the Delphi code editor, form editor and property inspector. CHI works with Delphi versions 3 to 7..
A stand-alone Windows application (CHI.exe). This detects which versions of Delphi are installed on the system and allows any available version to be chosen from the main interface. A command line application (CHInst.exe) is provided mainly to enable installation of help files from batch files. The program can also be called from install programs. It provides all the functionality of the GUI based application through a command line interface. The CHI help file provides an example of using the command line application. When used with Delphi 6 and 7 CHI will merge any .als a-keyword files found in the same directory as the help file into Delphi's master .als file. This feature works only with Delphi 6 and 7, since .als files are not supported in earlier versions of Delphi. The WinHelp program required to display help for Delphi 3-7 is not included with Windows Vista and later OSs by default but must be downloaded and installed separately. See Microsoft Knowledge Base article KB917607 for details. This property editor has been designed to get round two limitations of the standard Delphi string property editor. The standard property editor does not allow multi-line strings with embedded CR/LF characters to be entered via the object inspector. Such strings can only be assigned run-time. Although 32 bit Delphi strings have a 2Gb size limit, the standard property editor only accepts strings up to 255 characters long. Once again, longer strings must be assigned at run-time. The enhanced property editor works with every string or TCaption property. It adds an ellipsis button to the right hand side of the data entry area in the object inspector. Clicking this button displays a dialog box in which the property's value can be entered. Pressing return in the dialog box starts a new line. There is no practical limit to the length of strings that can be entered. The edit dialog is resizable. Word wrapping can be switched on or off. Both the word-wrapping and dialog box size and position are persistent. The Fractions Unit contains an advanced Delphi "record with methods" that encapsulates a fraction and the operations on it. Numerous operators are overloaded to allow arithmetic and comparisons to be performed using the normal Pascal operators. Fractions can also be assigned directly from integers and floating point numbers, making it easy to convert a floating point number to its fractional equivalent. The unit is documented here. The Fractions Unit is supplied with DUnit tests for all operators and methods. 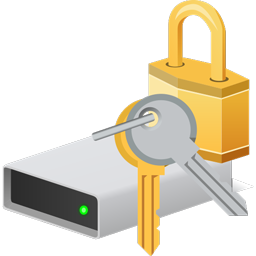 This is a property editor for properties of type HKEY - the type is used for registry root keys. A property of type HKEY is published by my TPJRegWdwState component. A version of this property editor is included with releases of TPJRegWdwState. HTMLRes is a simple command line application that creates 32 bit binary resource files that contain HTML files suitable for displaying using Internet Explorer's res:// protocol. For details on how to use the protocol see author's article 'How to create and use HTML resource files' on http://www.delphidabbler.com/articles. The application simply takes a list of HTML and related support files and embeds the files a RT_HTML section of a resource file. The resource file is created from scratch, overwriting any existing resource file with the same name. HTMLRes is particularly useful for embedding HTML files in the executable of the program that displays information using TWebBrowser. The abilitiy to embed the required HTML and support files in the executable means that it is not necessary to distribute the HTML files separately. HTMLRes names the resource with the name of the file - something that makes porting standard HTML files to embedded resources very easy - and something that BRCC32 won't do. v1.0 adds new -r command line switch that enables manifest files to reference files relative to manifest rather than directory HTMLRes executed from. Also updated sign on message. The algorithm and reference code are copyright � 1991-2, RSA Data Security, Inc. Created 1991. All rights reserved. DUnit tests for the unit are supplied in the download. The tests include all those specified in RFC 1321 (http://www.faqs.org/rfcs/rfc1321.html). TPJComputerInfo: provides information about the user's computer. TPJSystemFolders: gets full path of certain system folders. TPJOSInfo: provides information about the Windows operating system including platform, product and edition, service packs, version numbers, product ID etc. Global Win32XXX variables:extra variables to those provided by the SysUtils unit that provide extended OS version information on later NT platform OSs. The classes are fully documented online. All the classes are compatible with the Delphi 32 bit and 64 bit compilers. Demo programs are included for both the VCL and FireMonkey 2 frameworks. This VCL component encapsulates an About Box in a non-visual component. It has various string properties to display five different pieces of information in the about box. Alternatively, the about box can display information from the program's version information resource. This is accessed using a linked TPJVersionInfo component -- available from my website. Note: The TPJVersionInfo component must be installed before the about box. The display attributes and the dialog's location on the screen can also be customised. The component is compatible with the Delphi 32 and 64 bit Windows compilers. A help file is included that integrates into the IDE for Delphi 3 to Delphi 7. It does not integrate with the Delphi 1 and Delphi 2 IDEs but can be used independently. The component is also documented here. TPJCBView is a non-visual Delphi component which registers a hidden window as a "clipboard viewer". This means that Windows notifies the component whenever the clipboard contents change. On receipt of these notifications the component triggers an event. By handling the event your application can respond to changes on the clipboard. The component can be used as the heart of a program that displays "live" information about the clipboard. Alternatively it can simply enable and disable other components whose state depends on the available clipboard formats. TPJCBView provides an Enabled property that is used to switch the event triggering on and off. It also has a TriggerOnCreation property that causes the event to be triggered when the control is created, regardless of whether the clipboard has changed at that time. An OpenHelp compatible help file is provided that can be integrated into the Delphi 3 to 7 IDE. The help file can be used independently of the IDE on other versions of Delphi. The component is also documented in a wiki. A demo program is also available. TPJVersionInfo is a 32 bit non-visual component for all Win32 and Win64 versions of Delphi that encapsulates the version information contained in an executable file's resources. The component makes calls to the Windows API. Therefore the version information being read must follow the Microsoft guidelines - be warned that not all software complies. A help file is provided that integrates with the help system of Delphi 3 to 7 only. The component is also documented online. The source code for two demo projects is included. Version Extra tab added to Explorer's property sheet for registered files. Suggest on how to correct to inconsistencies in version information.